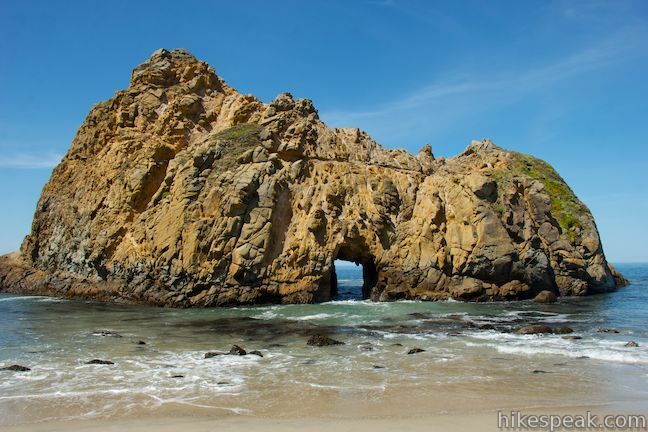 Monterey County is a beautiful coastal area of California. 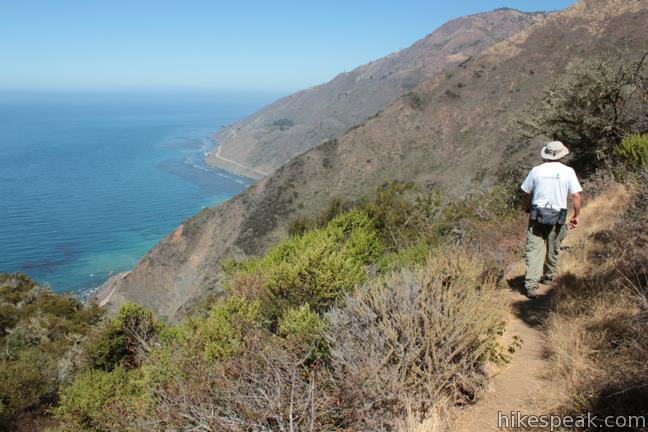 Some of Monterey County’s finest trails are found around Big Sur, a charming town 140 miles south of San Francisco. 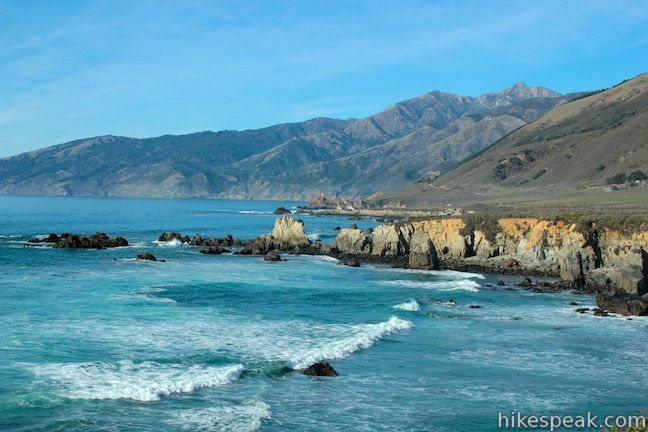 The Big Sur name also applies to the fifty miles of coastline between Big Sur and San Simeon, which is as beautiful as any in the world. Big Sur is defined by dramatic and beautiful landscapes. Tall green mountains drop to rugged shores and mesmerizing blue waters. The drive up Highway One is so scenic that many people don’t get out to hike at all, but they should! The region offers numerous great trails. 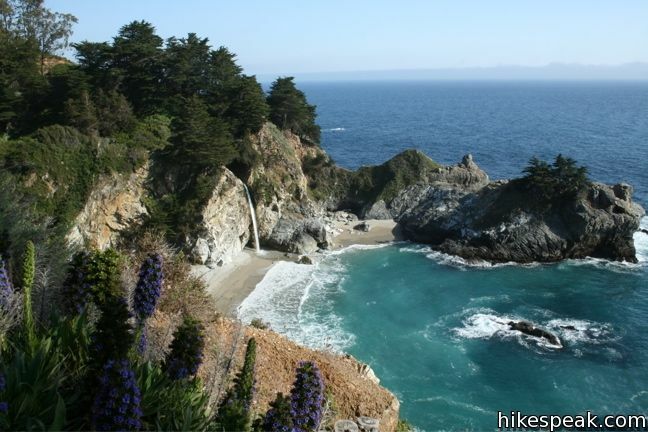 Los Padres National Forest protects much of the wild coast, but several other state parks are also involved, including Julia Pfeiffer Burns State Park, home of one of the most spectacular waterfalls on the planet, McWay Falls. 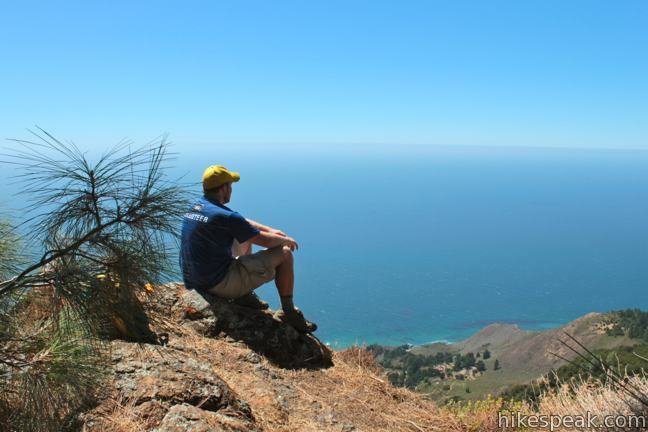 Many of the trails in the Big Sur region are free, so get out of the car and stretch your legs on these fine trails with unforgettable ocean views. Closure Alert: Winter storms caused major damage and multiple closures along Highway 1 for most of 2017. As of July 2018, the entire highway has reopened, but delays may occur. Check on the status of roads and parks before heading out. 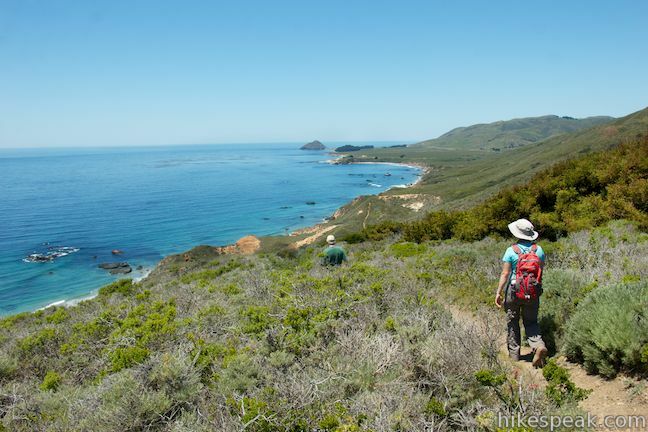 This collection of trails covers Monterey County along the California coast between Big Sur and San Simeon. These hikes are listed from north to south, but the table may also be sorted alphabetically or by distance to help you pick your next hike. 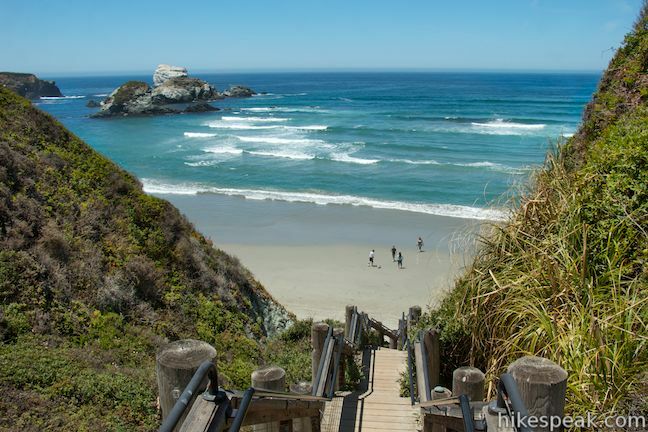 Each trail links to its own report complete with directions, photos, GPS maps, elevation profiles, and all the other information needed to locate and enjoy these day hikes. 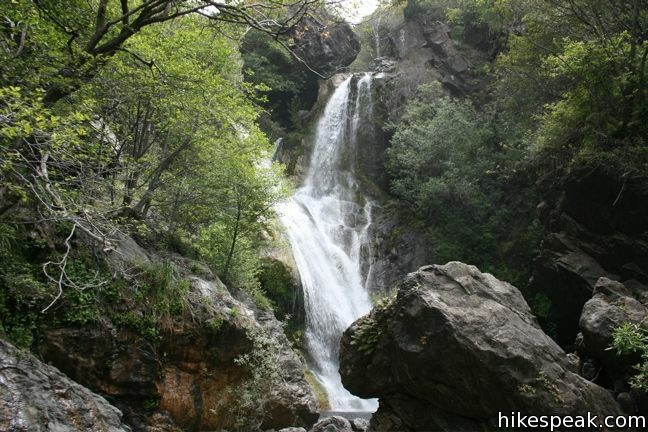 You can also view hikes around Monterey County on the Hike Finder Map.